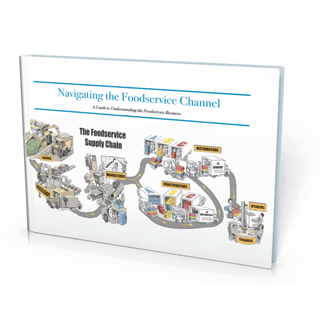 Franklin Foodservice Solutions has written Navigating the Foodservice Channel to provide a roadmap for manufacturers who are ready to enter foodservice. It will undoubtedly save you countless hours and thousands of dollars that would be spent on trying to figure it all out for yourself. And it will give you a huge leg up on understanding the complex relationships (and conflicts) that exist among manufacturers, distributors, operators, broker agencies, and the many related organizations at work in the foodservice channel. 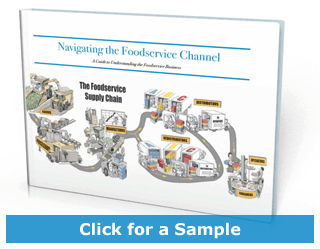 Navigating the Foodservice Channel is available as a downloadable PDF eBook, with live links to key industry organizations and other resources. To order your copy, click “Buy Now” below. Or order the paperback at Amazon.com.